A walk in shower from L.J. 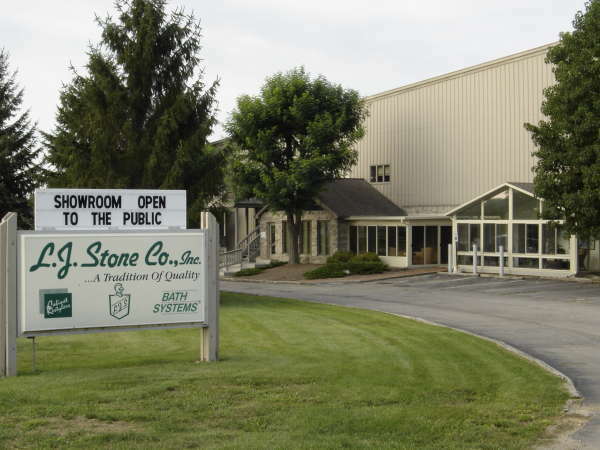 Stone Company, Inc. is a great solution for homeowners in Indianapolis, Kokomo, or Muncie, Indiana, who have difficulty entering and exiting the tub or shower. 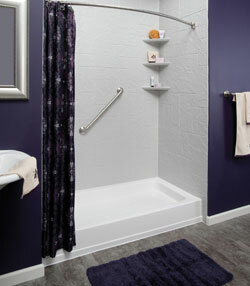 Upgrading to one of our walk in showers will eliminate the need to step over a tub wall or shower threshold, making bathing safer and more convenient for seniors or anyone with limited mobility. Virtually maintenance-free – Our barrier-free showers are extremely easy to clean and come with Silver Shield™ anti-microbial protection, so you will never have to worry about mold or mildew growth. Backed with a lifetime warranty – The durable, 100 percent acrylic walk in showers we install are guaranteed not to crack, chip, or deteriorate for as long as you own your home. Customizable – Our showers come in a wide variety of attractive color and pattern options, giving you the opportunity to create a unique look that will complement your bathroom’s décor. Furthermore, at L.J. Stone, customer service is our top priority. When you choose us as your bathroom remodeling contractor, you can rest assured that our expert technicians will approach your shower replacement job with precision and care and won’t rest until you are completely satisfied with their work. To learn more about the benefits of having L.J. Stone install a walk in shower for your home in Indianapolis, Kokomo, or Muncie, IN, contact us today. We also offer tub and shower liners.